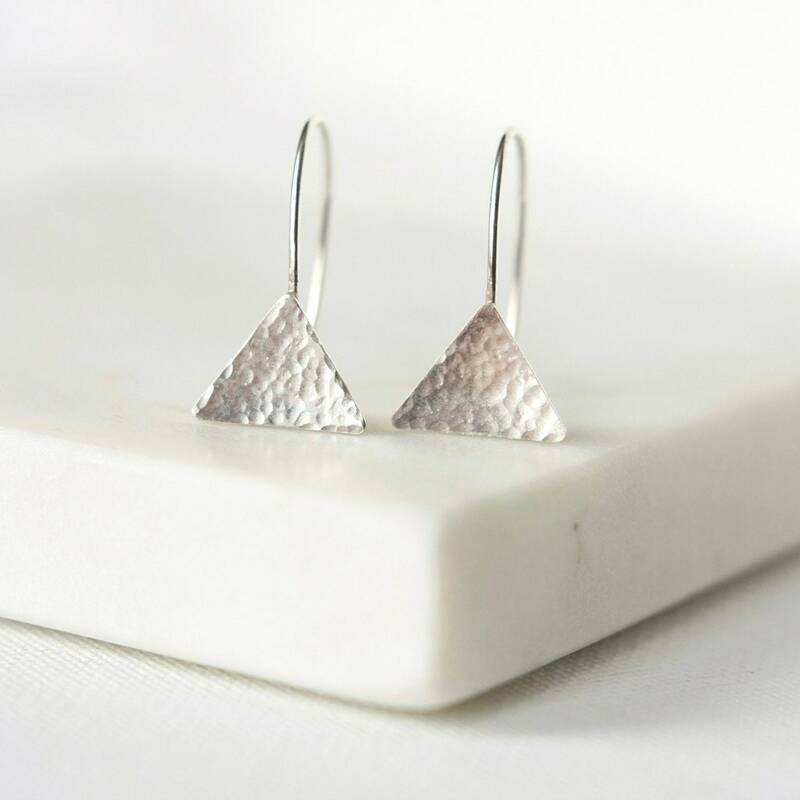 Geometric minimal earrings are a great go-to accessory. 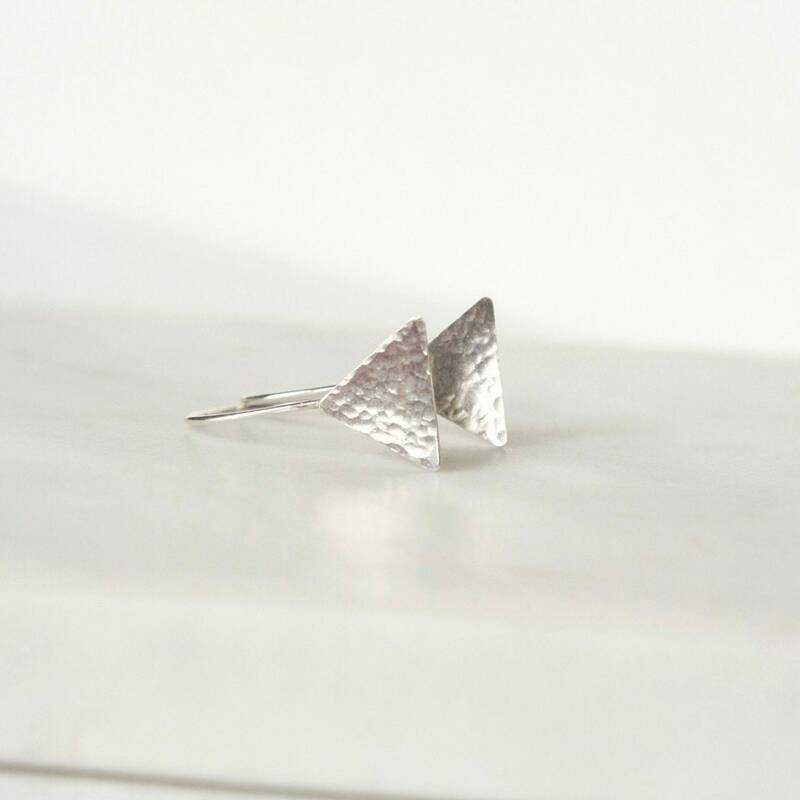 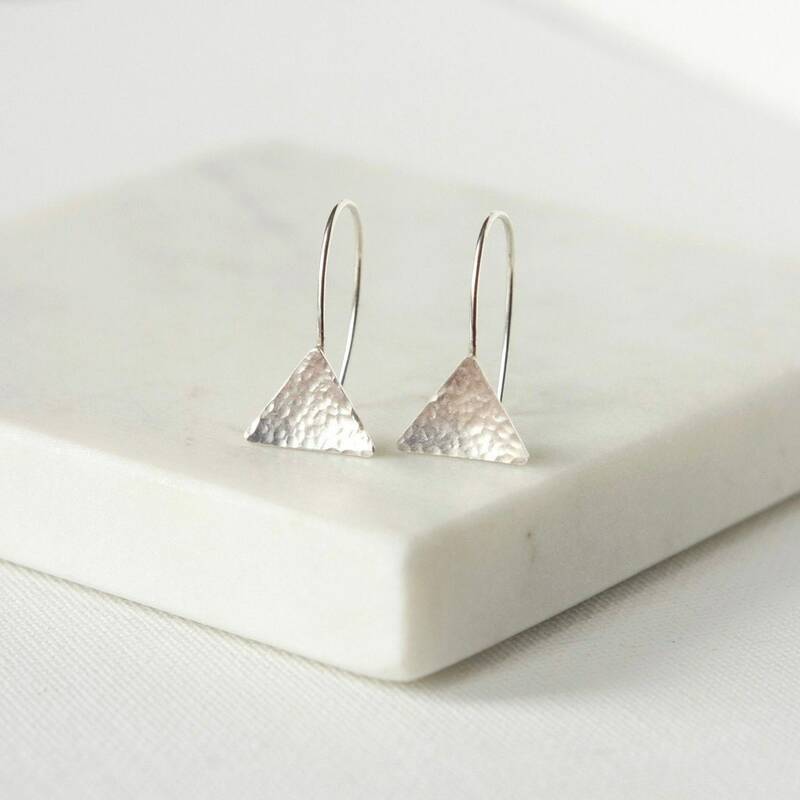 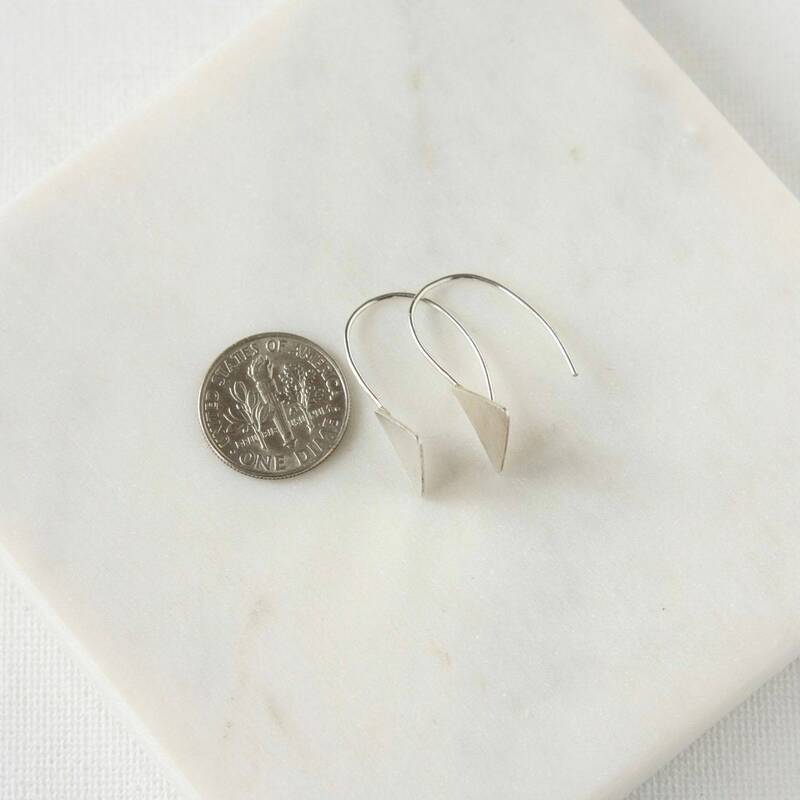 These ones feature 13mm sterling silver triangles that have been hammered for shine. 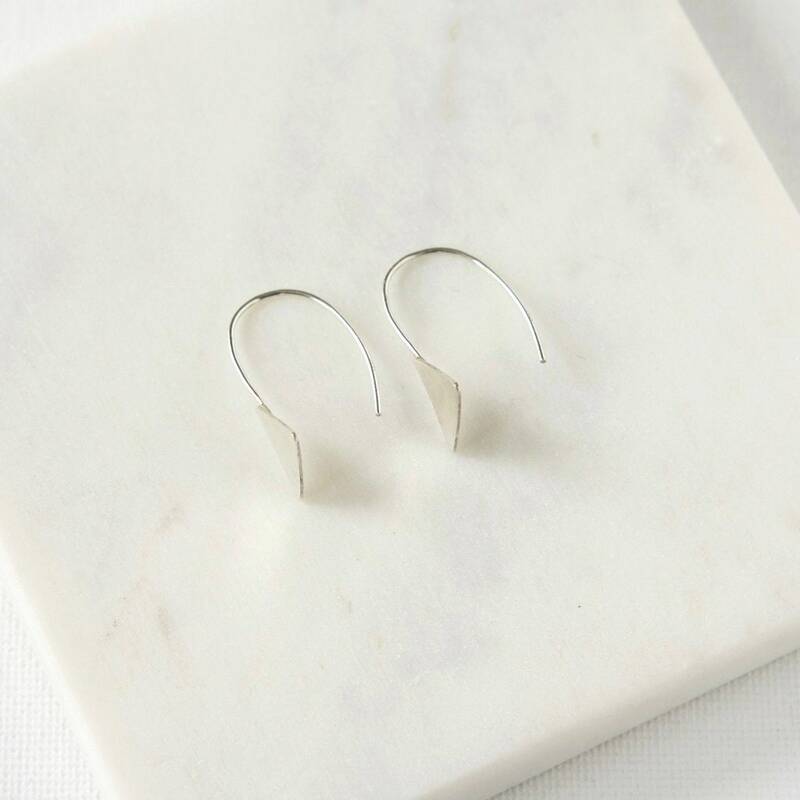 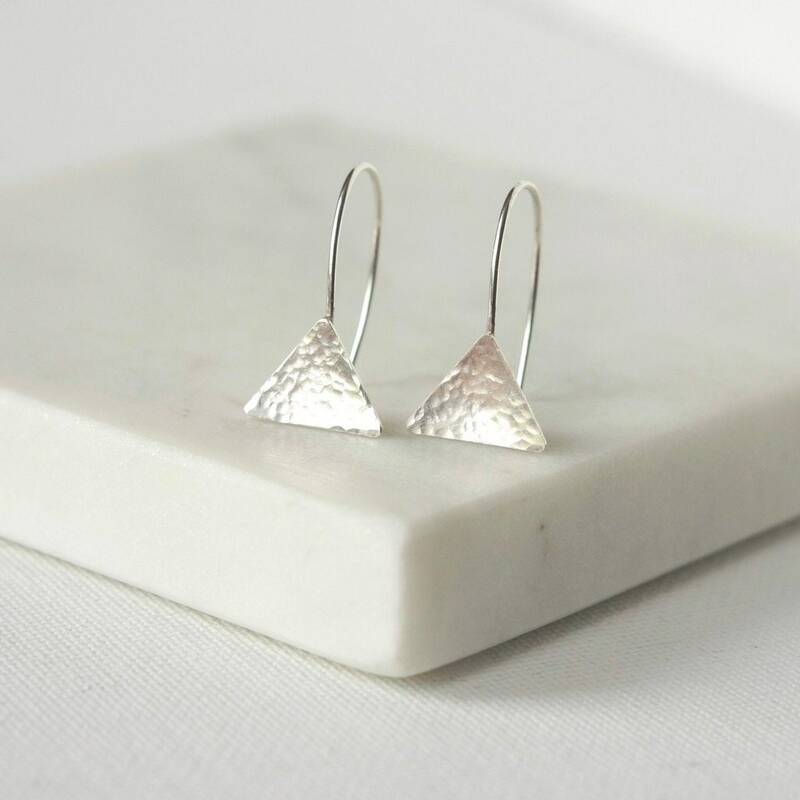 The triangles are soldered on to handmade sterling silver ear wires and the lightweight earrings hang about an inch from the top of the hooks - a nice size for everyday wear.